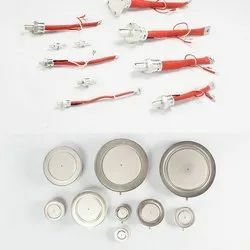 We are a leading Wholesale Trader of capsule thyristor, high power thyristors, inverter thyristor module, flat base thyristors with lead, fast switching thyristor and high voltage thyristor module from Mumbai, India. 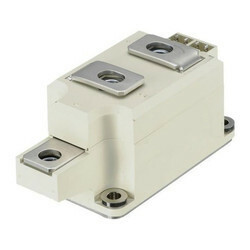 We are offering wide range of High Power Thyristors. This range is offered with customization so as to meet the changing specifications of the clients. We procure these thyristors from the reliable vendors of the market, who hold rich experience in this domain. We offer our products in minimum price. We are a recognized firm, which is engaged in trading a wide range of superior quality Inverter Thyristor Module. The modules offered by us extensively used in super high and ultra high-frequency circuits as a detector. We offer these diodes in different sizes, models, designs and shapes to meet the diverse requirements of our esteemed customers. 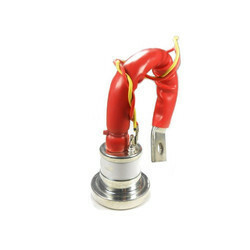 Engaged in offering a range of convenient products, we are providing the Flat Base Thyristors with Lead to our customers. The offered thyristors are extensively used for various general power switching operations. Owing to their compact design and optimum output, the offered thyristors are much appreciated among the customers. 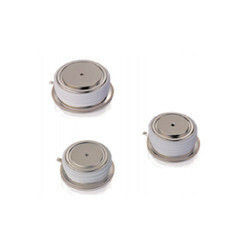 Moreover, the offered thyristors are known for their low noise generation property. 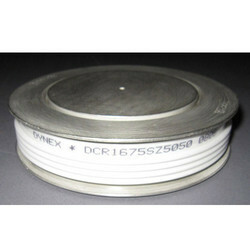 We are the leading and prominent Wholesaler, Trader and Retailer of Fast Switching Thyristor. 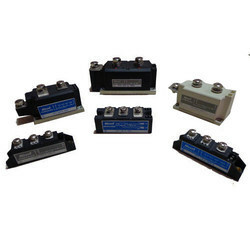 We are the leading and prominent Wholesaler, Trader and Retailer of High Voltage Thyristor Module. 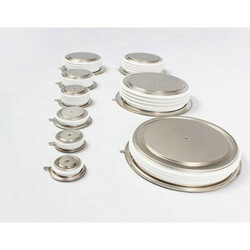 We are the leading and prominent Wholesaler, Trader and Retailer of Three Phase Thyristor Module. We are the leading and prominent Wholesaler, Trader and Retailer of Phase Control Thyristor. Looking for Thyristor Module ?